Whether you are walking for fitness or weight loss, you should walk fast enough to achieve a fat-burning walking pace. Walking at a brisk pace is a moderate-intensity cardio exercise. The speed of a brisk pace is different for each person as it depends on your heart rate, age, and level of fitness. A brisk walking pace can be from 13 to 20 minutes per mile, or from 3.0 mph to 4.5 mph. At this pace, you should be breathing noticeably but able to speak in full sentences. If your walking pace is 20 minutes per mile it may be either fast enough to be moderate-intensity exercise or too slow. If you are more fit, it might be only be light-intensity exercise. You can only determine this by understanding what the moderate-intensity zone feels like and what heart rate will put you into that zone. Healthy Heart Zone: 50 to 60 percent of your maximum heart rate. This is an easy and comfortable zone to exercise in. You will be able to carry on a full conversation, although you may be breathing a little heavier than usual. This is the lower end of the moderate-intensity zone. Fitness Zone: 60 to 70 percent of your maximum heart rate. In this zone, you are attaining moderate-intensity exercise. You are breathing heavier but can still speak in short sentences. You can talk, but you can't sing. This zone should be your goal for most of your walking workouts for fitness or weight loss. Aerobic Zone: 70 to 80 percent of your maximum heart rate. At this intensity, you are breathing very hard and only able to speak in short phrases. Workouts at this heart rate and above are vigorous-intensity exercise. What pulse rate matches each zone depends on your age. Use a target heart rate chart to find the beats per minute for you in the different heart rate zones. Taking your exercise pulse is the good old-fashioned way to find your heart rate, but it can be tricky to do unless you slow or stop. There are apps that can help you that use your cell phone camera flash. Pulse monitors are gadgets allow you to place one or two fingers on sensors to read your pulse. Some automatically calculate your heart rate percentage of maximum based on your age. But you may have to slow or stop to get a good reading. Fitness bands and smartwatches with LED wrist heart rate sensors have become more common. Examples include the Fitbit Charge 2 and Apple Watch. These are considered not as accurate as a chest strap heart rate monitor but may suit your needs for an approximate exercise zone. Heart rate monitors that use a chest strap give you a continuous heart rate readout that is as accurate as a medical ECG. They transmit to a wrist monitor or a mobile app and have a variety of features including the percentage of maximum heart rate and alarms for when you are in or out of your target zone. You may need to learn how to walk faster to get your heart rate into the fitness zone. Using good walking posture, back-and-forth arm motion, and rolling through each step from heel to toe can not only speed you up but will also help you breathe better and walk easier. As you increase your fitness, you may not be able to walk fast enough to get into the moderate-intensity or vigorous-intensity zones. Adding hills or stairs may increase your intensity at a lower speed. Using fitness walking poles can also increase your heart rate at the same speed. If you still can't achieve a higher heart rate by walking, you can try using the racewalking technique or switch to jogging intervals to get into a higher heart rate zone. 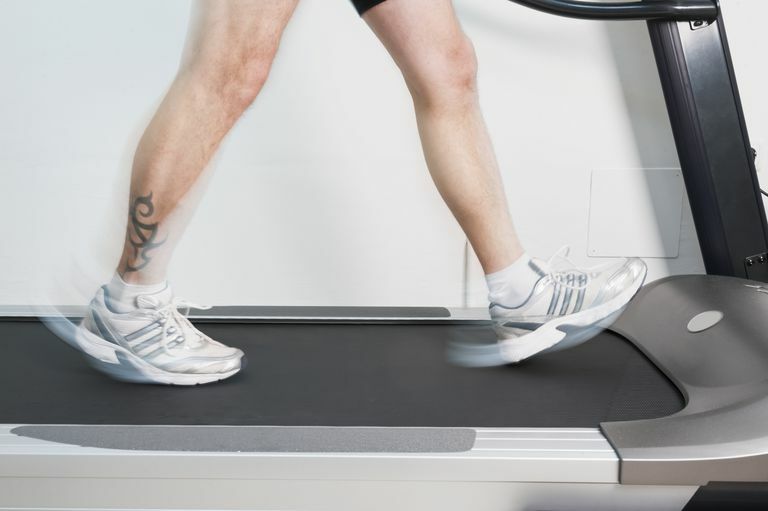 Can You Burn More Calories by Walking Faster? The calories you burn walking depend more on the distance you walk and your weight than on how fast you walk. You will be able to burn more calories in a set amount of time if you walk faster, but if you always stop after a mile you will see little difference. If you add hills or running intervals you can burn more calories for a set distance. Understanding how fast you should walk will help you get the full fitness and health benefits of the time you spend walking. Walking briskly for 30 to 60 minutes most days of the week can help you reach your goals. Build a walking schedule and enjoy your workouts.